Two-and-a-half years ago, rumours sprouted about a potential phone manufactured by HTC, focused on a Facebook ecosystem. These rumours have been on-and-off for the while, but it appears that we could be finally laying these rumours to rest this Thursday, April 4th. Why? you ask. Well, Facebook recently announced that they will be holding an event that day, only stating to “Come see our new home on Android”. Now, it seems that this rumour has been narrowed down into two potential products. The first being the long-standing rumour of a HTC Facebook phone, the other being a Facebook UI for Android devices titled “Facebook Home”. According to Unwired View, the device will sport a 5 Megapixel (MP) rear camera, 1.6 MP front camera, 16GB of internal storage, a 4.3’’ 720p display, a 1.5GHz dual-core CPU, have a LTE radio, and run Android 4.1.2 (although other sources, such as the Guardian, say it will run Android 4.2). The device will be sporting a modified version of the Android operating system, which more greatly integrates Facebook features, such as messaging and photo uploading. However, consumers have brought up concerns that they could potentially invade your privacy and access your text messages. While there are concerns on the software side, there are also some on the hardware side as well. All of the rumours for the past few years say that HTC will be manufacturing the phone, but can they manage it? Earlier this month, the HTC One smartphone was hit by shipping delays. 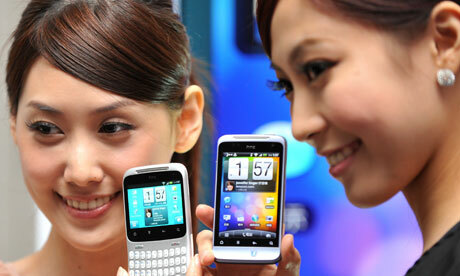 HTC cannot risk another delay, but with another phone, it might just slow down both production lines. “Facebook Home” is basically a really modified home screen, probably with the same structure as Nova Launcher or GO Launcher. Some additional features could include news feed stories and data on the home and lock screen. This should have the same features as a fully-fledged Facebook phone, but privacy concerns for both options remain to be seen. As much as people love using Facebook, will they really sell off their current phone just to get a new one? In this case, the “Facebook Home” option sure seems like it could target more people, but with less revenue compared to a branded device. What do you think? Would you get a Facebook phone or launcher?